"Snowflakes" in Sports? Can the New Generation of Athletes Take the Heat? As beautiful as a snowflake might be, it is considered to be extremely soft and delicate and will melt and disappear in an instant. Is this what athletes in our generation are starting to look like? Many think it is! The dynamics of working with elite athletes is constantly changing and in many ways it is making coaches jobs harder. In a rant a couple of weeks ago, outspoken Oklahoma State Football coach, Mike Gundy referred to the athletes of today as being snowflakes. He was referencing how the number of transfers out of the program was on the rise in recent years and with several already this season he expressed his frustration with the lack of commitment and perseverance in athletes today. He couldn't be more on the mark with his words! Gundy is not the first coach to come out and publicly state their views on the state of the generation of athletes they are working with today. The word entitlement has been thrown out there on many occasions. There is a growing frustration with players having an expectation of success and having things handed to them. The number of players that complain about playing time, coaching strategies and team dynamics is on the rise and coaches are having to learn to navigate some pretty turbulent waters in order to put together a winning program. It is becoming harder to put together a cohesive group of players that are committed to the team first at all costs. The expectation of this generation of young people that they should get things handed to them in life is becoming a widespread issue. This is showing up in our everyday lives as well as on the sports field. The line that many people draw is to the way that parents these days coddle kids and make sure that they never have to deal with disappointment or failure. 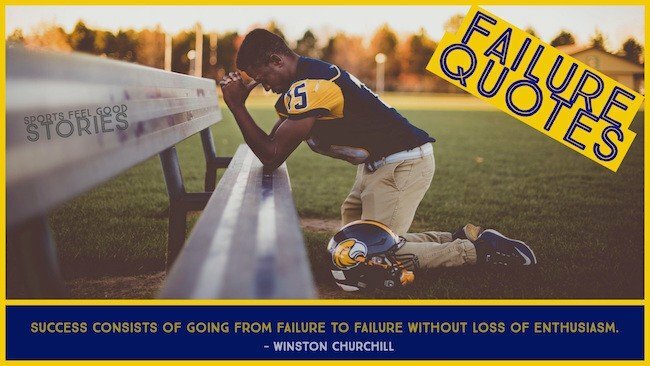 Adversity and perseverance is learned by going through difficult times and resolve is developed through our failures but those are emotions that society is trying to shelter children from these days and the effects are becoming overwhelmingly obvious. Just two years ago the coach of the Louisville basketball program, Jeff Walz, went on a rant about how players these days are not able to deal with adversity. The focus of his frustration was how there are so many players that are ok with finishing second or third and he blamed it on the idea of participation trophies. Kids learn that losing is ok and that even if they finish last they will get rewarded. The problem is that it is killing the drive to be the best, the drive to win. Geno Auriemma, University of Connecticut basketball coach, has also spoken to the difficulties of finding players who are engaged and positive. So many of the young players he sees these days come with preconceived notions about what it is to be a player and how to be a team mate and so often they don't match the reality of what is happening. He speaks to the body language of these players and how so many lack that positive upbeat attitude in their body language. It is a struggle he is fighting all the time and players who can't show the right attitude won't play for him, no matter how good they are. As a teacher, coach and sports fan I see this all the time. I can't tell you how many times I have been watching a por sporting event and seen a player go into full on whining mode. Maybe a call didn't go their way or they made a bad play or they are losing the game. You can almost see the quit on their face as they throw what can only be equated to a toddler's tantrum. Two players that stand out to me when thinking of this are Lebron James and Cam Newton. Lebron has been accused of quitting in games where things weren't going his way on many occasions. Most notably, he was thrown under the bus by teammates after the 2011 NBA finals for quitting on his team. Anyone who has watched any NFL football in the last 5 years has very likely seen Cam Newton hiding under his signature towel and pouting like a 3 year old that just lost his toy truck. I can't tell you how many conversations I have had with parents who are upset about the fact that their child did not make a team. I have been told how it is not fair that some kids make the team and others do not. I have been told how devastating it is to a kids self esteem to not make a team. Not only are the parents running to rescue these kids from the possibility of failure, they are demanding changes to make sure that their child is included. What is this teaching the kids? They are learning that if something doesn't go their way they can depend on mommy and daddy to make it all better. This is not the reality of life. When competing for a spot on a competitive sports team there will be players who just aren't good enough to compete. This is why there are recreational leagues. The worst case of this that I have ever seen was when I was the director of a kids sports camp. We had a program that was a combination of multi-sports and swimming lessons. The swimming lessons were done throughout the local pool and run by the city lifeguards. One summer I had to deal with an enraged parent who was very upset about the swim program. He was angry because his child did not pass the final swim test and get to move up to the next level of swimming lessons. I was flabbergasted by how upset he was. The lifeguards who teach the swimming lessons are only allowed to move people up to the next level if they have demonstrated the skills needed to advance. Otherwise, swimmers will have to retake the current level. This makes perfect sense because of the safety aspect of swimming. This particular parent was more concerned with his sons self esteem than his true ability to swim at a certain level. The kid got to watch his father fight for him to be advanced even though he did not pass. This snowflake problem is not going away anytime soon. If anything, it is getting worse all the time. I see it with the kids I am coaching and the students I teach. You often hear about how coaches are having to learn to deal with this new generation of players, even at the pros. In the NHL, coaches have had to alter how tough they are with their players because they don't get the same results as 10 or 20 years ago. There has been a big change in the demographics of pro coaches as a younger regime is moving in. Younger coaches who seem to have a finger on the pulse of this new generation of athlete. From a fans perspective, I can only hope that these players and kids in general will find a way to learn that there is adversity in life and that we need to persevere to grow. This coach is trying to teach his players and students to do it every day. I look forward to hearing your thoughts. Do you think we have a problem with this new generation of athletes being soft or entitled?